UPDATED: Mon., April 16, 2018, 8:21 p.m. In the study, Merck’s Keytruda, given with standard chemotherapy, cut in half the risk of dying or having the cancer worsen after one year when compared to chemo alone. The results are expected to quickly set a new standard of care for about 70,000 patients each year in the United States whose lung cancer has already spread by the time it’s found. Another study found that an immunotherapy combo – the Bristol-Myers Squibb drugs Opdivo and Yervoy – worked better than chemo for delaying the time until cancer worsened in advanced lung cancer patients whose tumors have many gene flaws, as nearly half do. But the benefit lasted less than two months on average and it’s too soon to know if the combo improves overall survival, as Keytruda did. After one year, 69 percent of people originally assigned to Keytruda were alive versus 49 percent of the others – a result that experts called remarkable considering that the second group’s survival was improved because half of them wound up switching. How much it ultimately will extend life isn’t known – more than half in the Keytruda group are still alive; median survival was just over 11 months for the others. 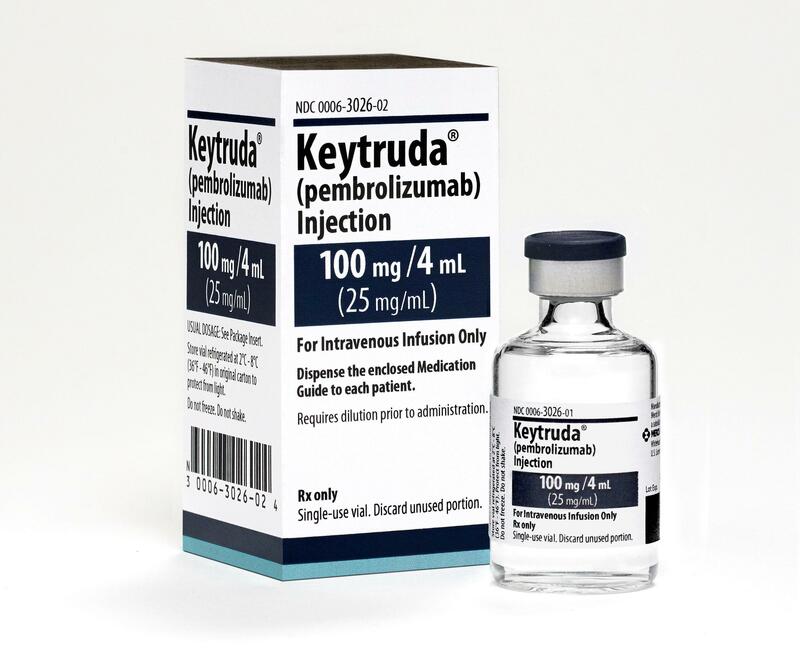 The Keytruda combo also delayed the time until cancer worsened – an average of nine months versus five months for the chemo-only group. The study design was changed after it was underway to look at results according to patients’ tumor mutation burden – a measure of how flawed their cancer genes are, according to a profiling test by Foundation Medicine. Medicare recently agreed to cover the $3,000 test for advanced cancers. Published: April 16, 2018, 1:56 p.m. Updated: April 16, 2018, 8:21 p.m.